If foot or ankle issues are causing you pain or limiting your ability to function properly, you may be a good candidate for reconstructive surgery. 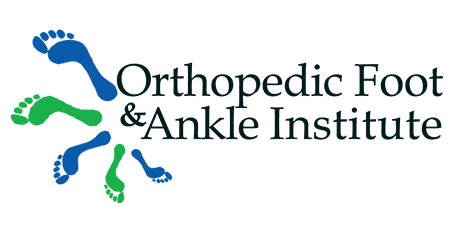 At Orthopedic Foot & Ankle Institute in Henderson, Nevada, reconstructive surgery options are available from Dr. Roman Sibel, a highly-skilled orthopedic surgeon specializing in advanced reconstructive techniques. He can help improve your quality of life and your functionality with the latest surgical methods. To learn more about the benefits of reconstructive surgery, schedule a consultation online or by phone today. Dr. Sibel performs reconstruction surgery to correct structural abnormalities in your feet or ankles as the result of disease or injury. Surgery can also improve the appearance of your foot and increase your mobility. Due to the complex nature of the foot and ankle, specialized surgery can be useful in treating several issues and restoring overall health. Why do I need reconstructive surgery? These issues can be the result of a sports injury, ill-fitting shoes, work-related injury, and medical complications such as diabetes. What can I expect with reconstructive surgery? Dr. Sibel offers the latest advancements in reconstructive surgery, including traditional surgery and arthroscopic surgery. Depending on your specific needs, Dr. Sibel creates a tailored surgical plan to address your foot and ankle issues. Arthroscopic surgery is a minimally invasive procedure that requires only tiny incisions to correct foot structures. The surgery requires general anesthesia, and Dr. Sibel uses small, precise instruments to make repairs. A special device, known as an arthroscope, has a camera that displays a magnified image of your foot or ankle structure on an external monitor. Following surgery, Dr. Sibel closes your incisions and wraps the surgical area in bandages. Depending on the reason for your surgery, you may also need to use a splint or a cast to keep your foot or ankle stable. Dr. Sibel monitors your foot or ankle after surgery and can remove the splint or cast when you can regain normal functionality. What are the benefits of arthroscopic reconstructive surgery? Because the surgery only requires tiny incisions, you can expect a much faster recovery time than with traditional surgery. Dr. Sibel can discuss other benefits of reconstructive surgery during your consultation and also tells you what to expect before and after surgery. To find out if reconstructive surgery is right for you, schedule an appointment online or by calling the office today.